Taste test: These are good barbecue chips. 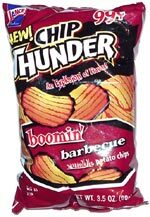 The chips themselves are the same great, crunchy, large ridged chips that the other varieties of Chip Thunder are made with. 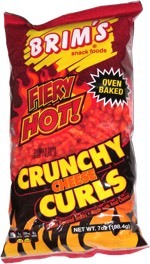 However, the flavor on these was just average.